The first Amfiteater symposium, organised in autumn 2017, has now yielded fruit: the thematic block herein on the theme of the castration of the political in contemporary Slovenian theatre, edited and presented by Tomaž Toporišič. 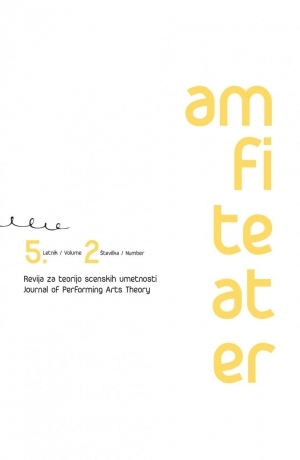 In addition to eight articles in Slovene, equipped with detailed English summaries, we present an exceptional investigation by Eda Čufer of Marko Peljhan’s project Makrolab, which – by confronting art and war – reaffirms the idea of the avant-garde at the transition from the 20th to the 2st century. 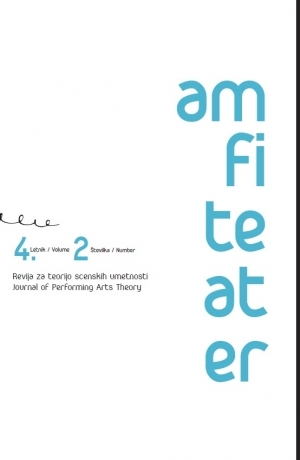 Amfiteater – Journal of Performing Arts Theory was founded in 2008 by the University of Ljubljana, Academy of Theatre, Radio, Film and Television. Mehka vezava; 223 strani; 17cm x 24 cm; slovenski/angleški jezik. Revija izhaja dvakrat letno. Cena posamezne številke: 10 EUR. Cena dvojne številke: 18 EUR. Letna naročnina: 16 EUR za posameznike, 13 EUR za študente, 18 EUR za institucije. Poštnina ni vključena. Izdajo publikacije sta finančno podprla Agencija za raziskovalno dejavnost Republike Slovenije in Ministrstvo za kulturo Republike Slovenije. 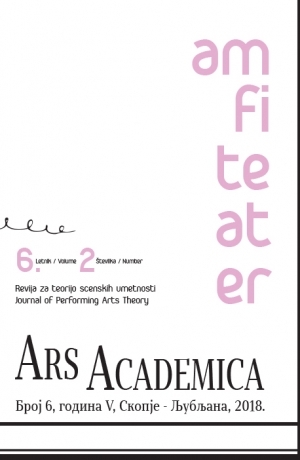 This year, the Academy of Theatre, Radio, Film and Television (AGRFT, Slovenia) is celebrating its 70th anniversary….